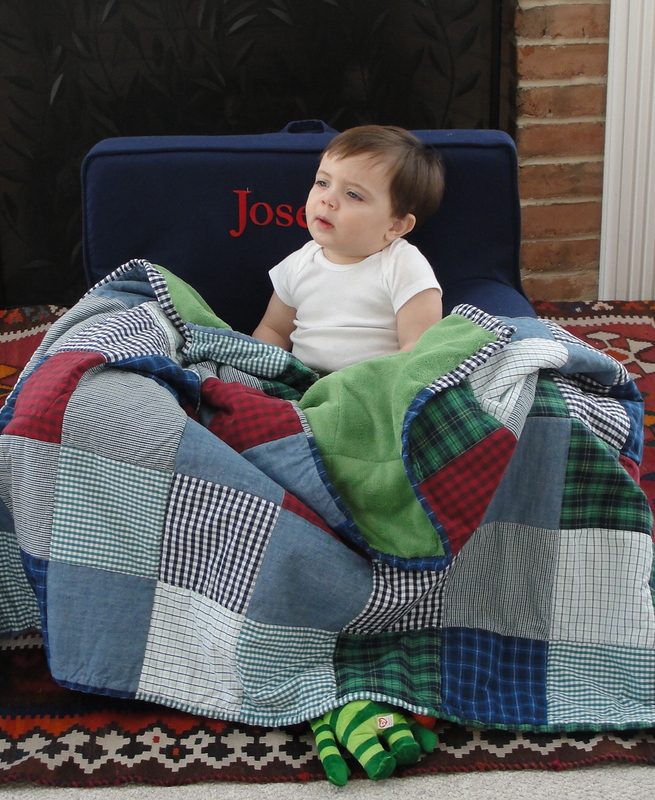 I decided a few months ago that I wanted to make another quilt for Joseph for his birthday. As you may remember, I made him one for when he was born and I wanted to carry on the tradition. 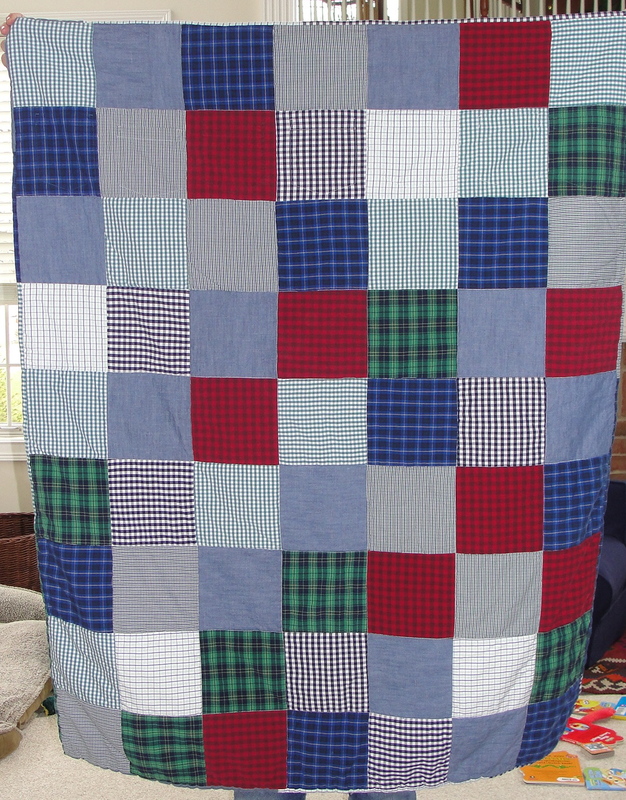 I decided to do a simple patchwork pattern and use the remaining fabric I had from Shawn’s old shirts and added in some blue chambray that I had laying around. I like that it goes well with the one I made before but is a bit more casual and “boyish” looking. 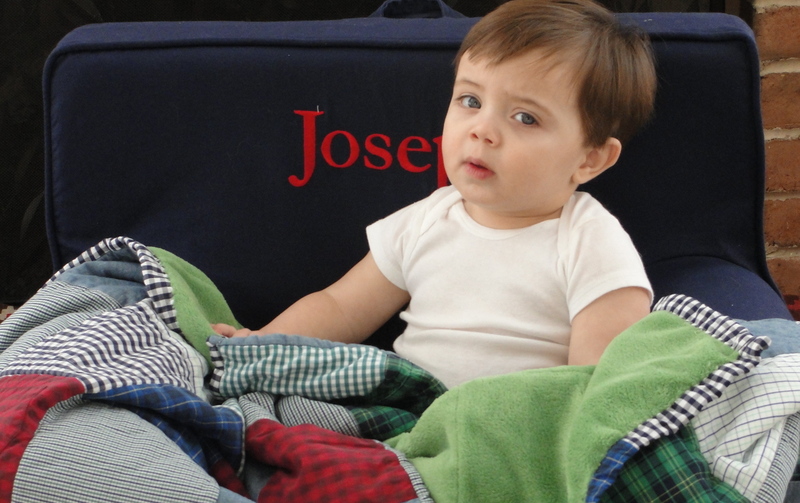 I think that it should fit his crib perfectly for when we eventually convert it to a toddler bed. I backed it in green minky that I had left over from Roz’s quilt and did a scrappy binding with the last bits of the shirt fabrics. 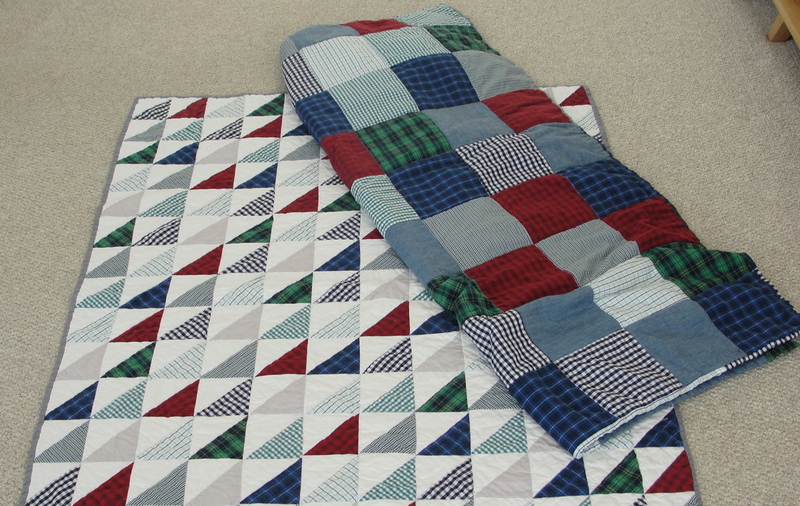 My favorite part of this quilt is that I incorporated the shirt pockets into one row! 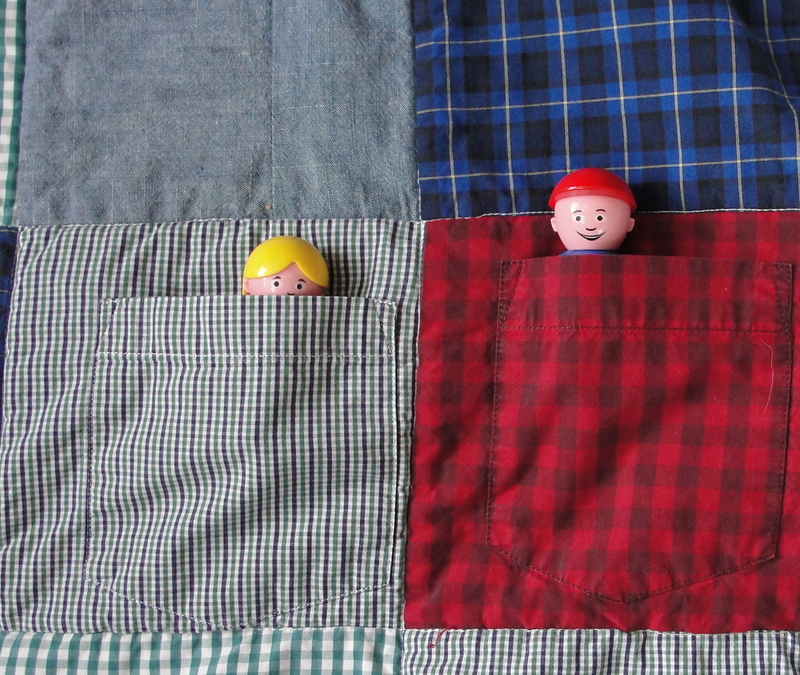 I kept imagining Joseph hiding his little cars or action figures in them as he went to bed. Is that cute?